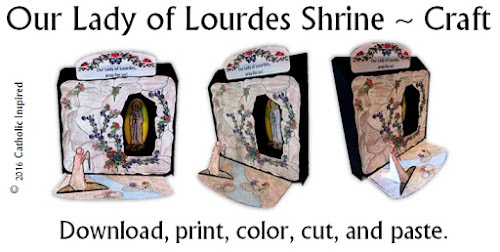 The feast day of Our Lady of Lourdes is on Feb. 11th. 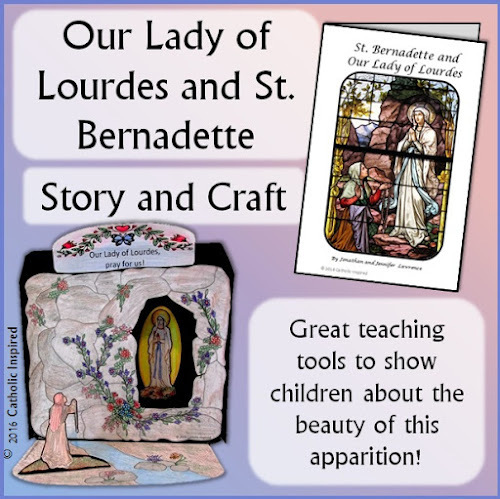 Our Lady of Lourdes is very popular among Catholics, but how much do you really know about her and St. Bernadette, whom Our Lady appeared to? 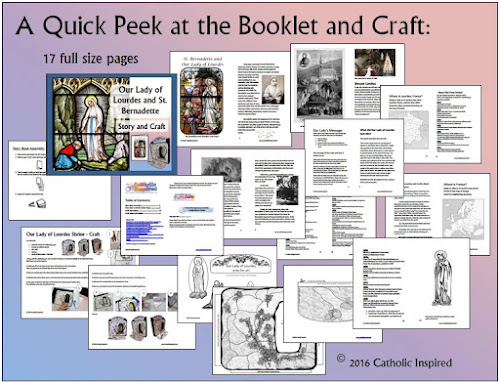 This download includes an 18-page reading booklet with a short story about St. Bernadette and Our Lady. It also has some optional mapping pages (France) and an "About the Time Period" timeline so you can share with the class some of the things that were happening around the world during the time of Bernadette's life. All of these pages can be printed in color or grayscale! This download is now for sale in our Shop! After payment is made, you will instantly receive a link to a PDF file. Feel free to print out as many as you need for a single class or family. Thank you, Tracy! I'm so thrilled that you enjoyed this craft and book! I loved seeing the grottos that your children made! They are beautiful!